The latest Forum on China–Africa Cooperation was held in Beijing in early autumn this year. Significant investments in the infrastructure and development of African countries were announced at the forum. According to Chinese President Xi Jinping, China is ready to provide about USD 60 billion for these purposes. China is already very active in infrastructure projects on the continent. However, Africa is not the only continent in which China is investing. The “One Belt, One Road” initiative also provides for economic presence of China in South America, Asia, and Europe. For example, China announced the establishment of a special fund worth EUR 10 billion for financing infrastructure and high-tech projects in Central and Eastern Europe exactly two years ago – in November 2016. Six months later, the Chinese embassy in Ukraine announced investment of USD 7 billion in revival of the Ukrainian economy. However, it clarified that this would be in the form of bonds. We have been witnessing increased Chinese activity in Ukraine in the past couple of years. Considering Beijing’s desire to establish new channels for delivering its goods along the New Silk Road to the European Union, investments in development of Ukraine’s infrastructure seem beneficial to both parties. The dredging projects that are currently being implemented in the Yuzhny and Chornomorsk seaports are among the most successful examples of cooperation. Most Chinese infrastructure projects in Ukraine are either “frozen” (this is not always the fault of the Chinese), at the negotiation stage, or at the initial stage of implementation. We discuss the most notable of these projects. The Ukrainian-Chinese project for construction of a railway line between Kyiv and the Boryspil airport was once promoted by the State Investment Agency under Vladyslav Kaskiv. It was intended as a large-scale project: new rolling stock was to be purchased and transport interchanges and stations were to be built. A special state company called the Directorate for the Construction and Management of the Air Express National Project was even created for implementation of the project. This company signed the relevant contract with the Chinese Export-Import Bank. A loan of USD 372 million was supposed to be provided. The project was supposed to be completed in 2015. However, the Air Express project remained unimplemented. Only two loan tranches totaling USD 52 million were provided in 2013. This money was supposed to be used to finance design of the project and purchase of the relevant land. The design documentation for the Air Express project was to be prepared by the Chinese-based China Machinery Engineering Corporation (CMEC). 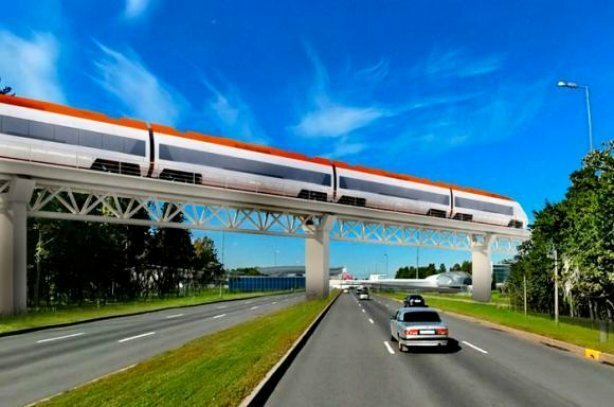 China Railway International Group (CRECGI), a subsidiary of China Railway Engineering Corporation (CRECG), was to be become the contractor for the construction work. The latter is considered one of the leading contractors for railway infrastructure projects in China (and around the world). However, the project never reached the construction phase. As early as in the design phase, many questions were raised about the use of the funds that were provided. In particular, law enforcement officers uncovered large-scale fraud involving purchase of land. Later, the Ukrainian authorities attempted to reach agreement on re-channeling of the loan funds to other infrastructure projects in Kyiv, including completion of the Podil-Voskresensk Bridge and extension of the Kyiv subway to the Troeschyna residential district. However, these attempts were unsuccessful and the Ukrainian authorities officially informed the Chinese about the termination of the project. “The state budget lost USD 50 million, of which USD 20 million was stolen by the previous management of the Air Express state enterprise,” Ukraine’s Deputy Infrastructure Minister Viktor Dovhan said. “We have repaid the loan of USD 50 million and we are holding talks on refund of USD 30 million in commission and insurance fee by Sinosure (a Chinese export-credit insurance corporation). That is, the Chinese owe us," Dovhan, who was a member of the Ukrainian delegation to the China International Import Expo 2018 in Shanghai, later said in comments to the CFTS portal. Ukrzaliznytsia took over the implementation of the project after seven years (at a much more modest cost and on a smaller scale). However, it is no longer the same Air Express project but a different project that is likely to be completed successfully later this year. Another project from the period of Viktor Yanukovych’s presidency that is closely linked to Chinese investments is the project for construction of a large deep-water seaport in the Crimea. It was reported in 2013 that businessman Wang Jing (better known in the telecommunications industry at that time) intended to invest USD 3 billion in this project. Before that, Wang, who owns Beijing Interoceanic Canal Investment Management Co., Ltd (BICIM) is famous for his plans to invest USD 50 billion in a shipping canal in Nicaragua, which was to become an alternative to the Panama Canal. However, this project seems to have suffered the same fate as the Crimean port project. The latter was also intended to become an alternative port for transshipment of cargoes from Asia to Europe. 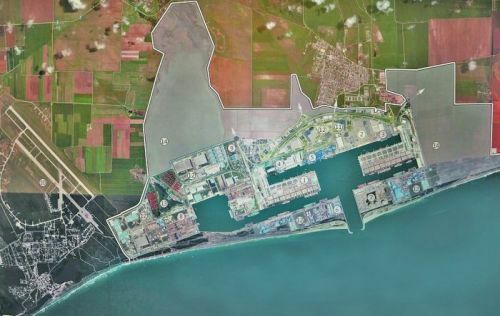 Construction of the port was to begin in 2014. The new port was supposed to have a depth of 25 meters, deeper than all the ports in Ukraine. 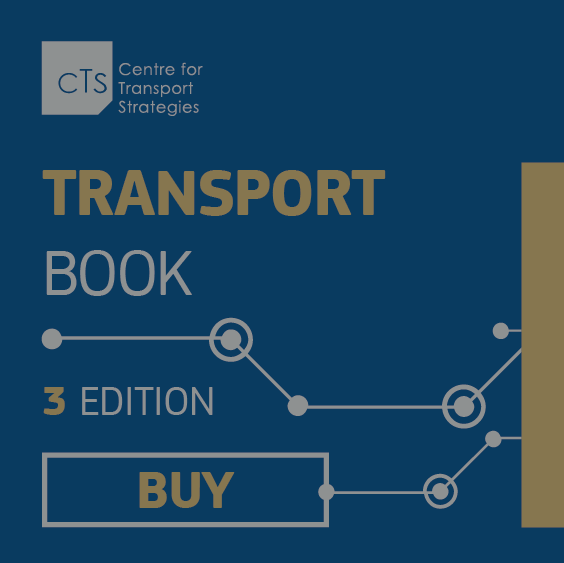 In addition, transportation of cargo from the unbuilt port to mainland Ukraine by rail would have been difficult because the Crimea’s transport network was clearly not designed for such cargoes. Delivery of goods to or from the new port would have required significant investment in expansion of the peninsula’s railway infrastructure. However, negotiations on construction of the deep-water port in the Crimea went no further. In addition, the annexation of the Crimea by Russia changed these plans. Ukraine’s Ambassador to China Oleh Diomin said in 2016 that China had already performed exploratory work and had specific plans for construction of a deep-water port on mainland Ukraine. Nothing more has been heard about the project. Meanwhile, Wang’s Beijing Xinwei Telecom Technology Inc. has not forgotten about Ukraine. It has even attempted to establish production of aircraft and helicopter engines in China jointly with the Motor Sich company (Zaporizhia), a producer of aircraft engines and gas turbines. This project would also have been included in our list Chinese initiatives that have not yet been realized if it had not been displaced by another aviation failure. News that the An-225 Mriya aircraft, the world's largest transport aircraft, could be assembled in China caused a storm of indignation in 2016. Initially, media reports suggested that the design and certificates for the aircraft, as well as the ownership rights to it, would be handed over to the Chinese. Based on unverified information, some publications even reported that the Mriya project would be sold to the Chinese. In reality, the reason for the speculation was a cooperation agreement signed by the Antonov state aircraft manufacturing company and the Aerospace Industry Corporation of China Ltd. (AVIC). 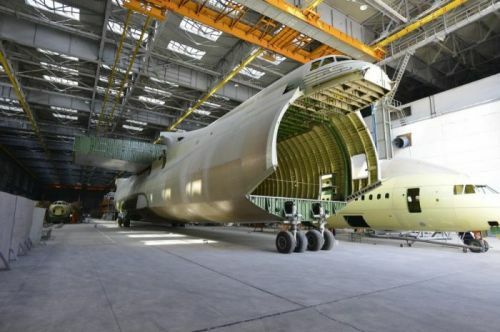 The cooperation agreement stipulated that Antonov would first finish building a second prototype of the Mriya for AVIC and that the two companies would then establish joint serial production of the aircraft. It was agreed that the terms of serial production of the aircraft would be stipulated in a separate document. The companies did not disclose further details of the potential deal. However, reporters at Chinese Central Television apparently found out that the second Mriya was to be produced in 2019 and that the relevant negotiations had been going on for several months. Much later, when the dispute surrounding the issue subsided, Antonov denied the reports that it intended to transfer the intellectual property for the Mriya to AVIC. This initiative was soon forgotten and only a single prototype of the An-225, which was built in the period of 1984-1988, exists today. The second prototype has only been partially assembled. Ukraine proposed in 2014 that Japanese investors participate in an investment project for completion, production, and operation of the Mriya, but the Japanese were not interested. While on the issue of aviation, it is worth mentioning that the Chinese-based CCCC First Highway Engineering Co. Ltd (CFHEC) intends to invest USD 10 million in construction of a runway at the Zhytomyr airport. “If this project can be implemented, Zhytomyr will be realistically able to attract low-cost airlines,” the mayor of Zhytomyr said in 2017. For now, no low-cost airlines have begun flying to Zhytomyr. There is a likelihood that this project will be implemented, but construction work has not yet begun. 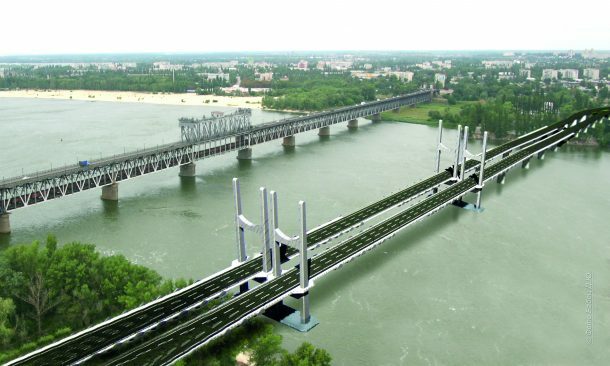 China Road and Bridge Corporation (CRBC) began developing a project for construction of a Kremenchuk bypass bridge across River Dnipro in early 2017. 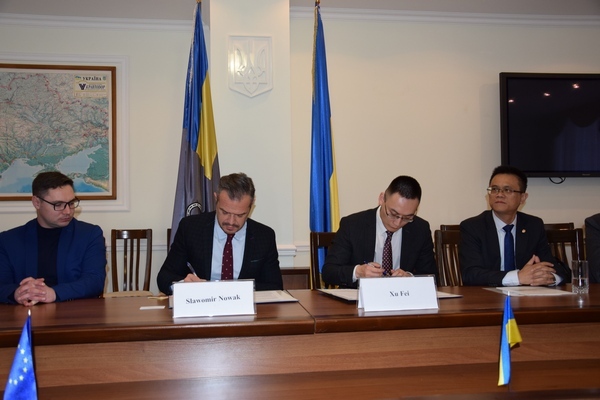 Minister of Economic Development Stepan Kubiv said at the time that Ukraine would be able to obtain funds from the Chinese Export-Import Bank through this company. That is the same bank to which Kyiv had only just repaid the loan for financing the Air Express project. Kubiv said that the required amount was USD 300 million. A new bridge across River Dnipro in Kremenchuk is actually needed because a single bridge located in the central part of the city currently connects the right and left banks of the river in this city with a population of 250,000. Built in 1949, the bridge has only two lanes but accommodates two roads of national importance. The memorandum of cooperation on design of the new bridge was signed with the Chinese company by the acting head of the State Automobile Road Service (Ukravtodor), Slawomir Nowak. According to Nowak, construction of the bridge on the outskirts of Kremenchuk would allow transit traffic to be directed away from the center of the city, reduction of air pollution, and improvement of the transport links between parts of the city located on the two banks of River Dnipro. For this, the old bridge would be rebuilt to enable it to handle light rail traffic in the future. Exactly one year ago, Dovhan wrote in a column for the CFTS portal that the Chinese company had already performed a preliminary feasibility study for the construction project and that the Road Service in the Poltava region had prepared a state investment project for construction of the bridge. It was announced on November 6 this year that agreement had been reached that the Chinese would send Ukraine a draft agreement on a loan for construction of the bridge. “The project has been approved by the Eximbank of China. The draft credit agreement should be provided by the Chinese Ministry of Commerce,” Dovhan wrote. The issue of highway construction in Ukraine by Chinese contractors is also problematic. There have been two instances of Chinese contractors failing to implement projects for repair and construction of highways over the past year. Nowak complained in May that the Sinohydro state-owned hydropower engineering and construction company, which won the tender for reconstruction of a Zhytomyr bypass road, was in no hurry to begin the reconstruction work. Nowak himself already had a negative experience of working with Chinese highway construction companies in Poland, where they failed to fulfill the terms of a contract for the Warsaw-Lodz autobahn on the eve of the 2012 European football championships. Under the relevant agreement, construction of an expanded concrete highway bypassing Zhytomyr at the cost of about EUR 42 million was to be financed with a loan from the European Investment Bank (EIB) and the European Bank for Reconstruction and Development (EBRD) and it should be completed before 2020. Sinohydro and Ukravtodor signed the agreement in November last year. However, the construction work had not begun as of May 2018. Ukravtodor is very worried about this, and Nowak has said that termination of the agreement should be expected by the end of the year if the contractor remains indifferent. Nowak’s threat probably had an effect because Sinohydro began preparatory work in late June, but Ukravtodor later said that the work was significantly behind schedule. In total, according to Nowak, Chinese companies are participating in three Ukravtodor projects this year: the abovementioned Zhytomyr project, a project for repair of a section of the M03 Highway in the Poltava region, and a project for repair of a section of the M12 Highway (Stryi-Ternopil-Kirovohrad-Znamianka) in the Khmelnytskyi region. The contract for repair of the M12 Highway is also facing the threat of termination because of the unsatisfactory pace of the work. The Ministry of Infrastructure stated in early October that this project is part of the Highway GO project, which is important for Ukraine’s image. Therefore, its timely completion is critical. 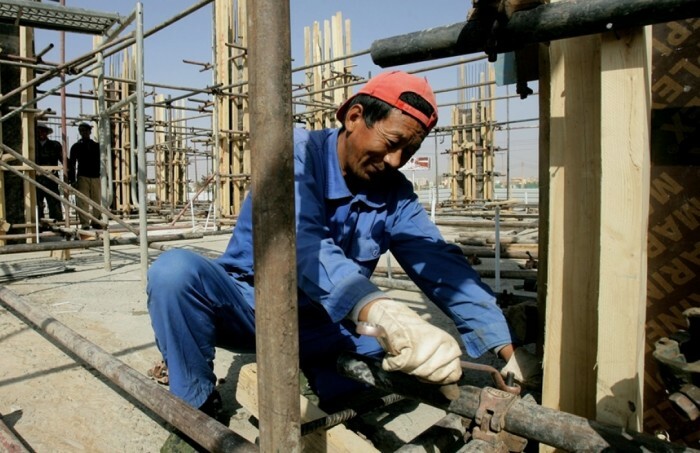 Xinjiang Communications Construction Group was selected as the contractor for this project last summer. The contract is worth USD 38.5 million and the repair work must be completed within 18 months. However, the Ministry of Infrastructure is considering taking the contract away from the Chinese contractor because of the delay in its implementation. Its fate will be decided this month.